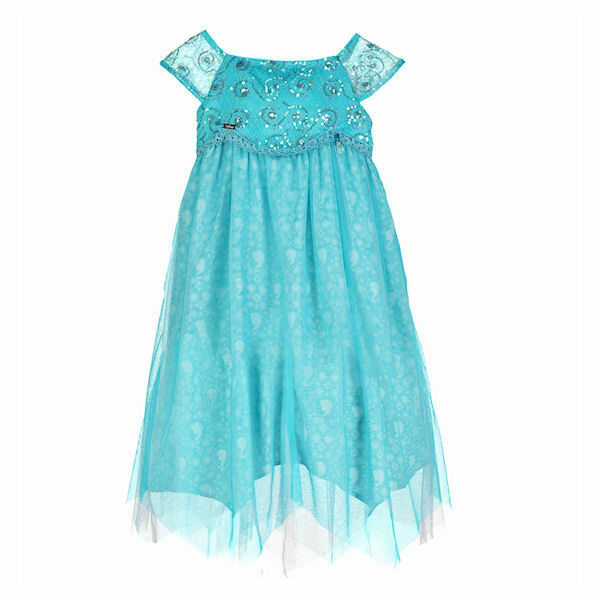 Empire line party dress in turquoise duchess satin. The bodice has a swirling sequinnes finished with a delicate crochet trim. The flowing asymmetric skirts are layered on top of a satin skirt. The skirt also has a ghost print layer of Elsa and Anna cameos with snowflakes. Silver charms including E initial, a snowflake and a Disney signature on a turquoise ribbon. 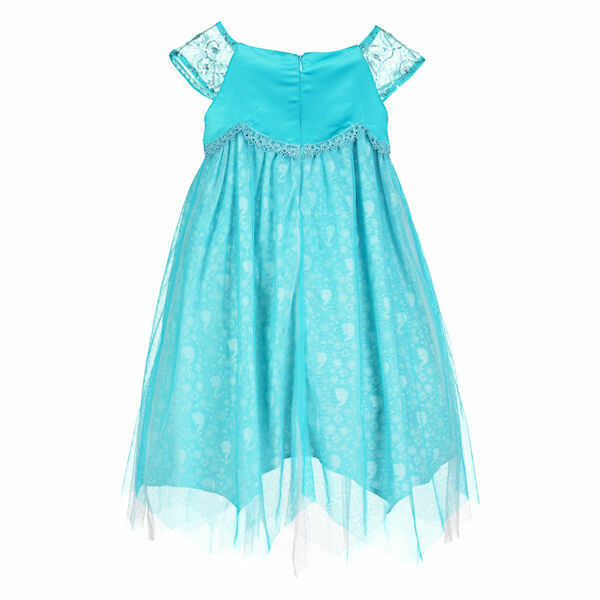 Dress materials are the front of bodice and sleeves overlay is 60% nylon and 40% polyester. The back of the bodice is 100% polyester. The netting is 100% polyester. 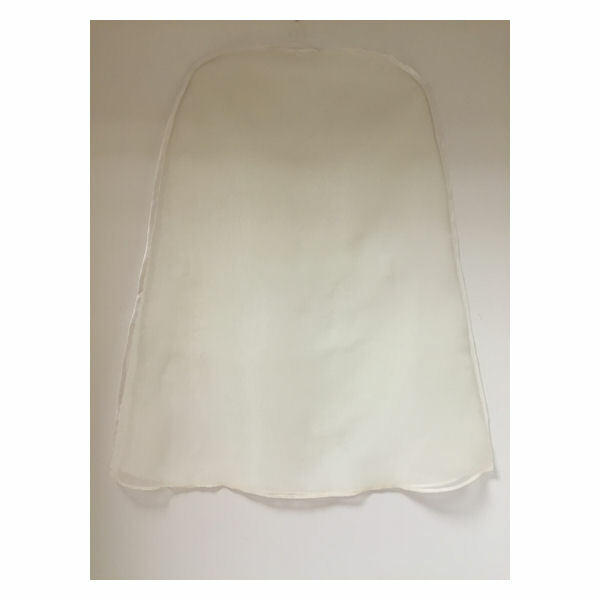 Sleeve Linings are 100% Nylon. 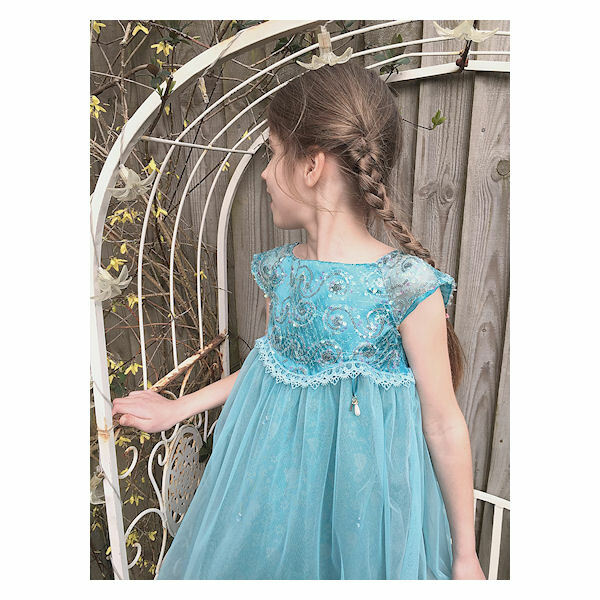 This empire line party dress in turquoise duchess satin has a swirling sequinned bodice finished with a delicat crochet trim. The following asymmetric skirts are layered on top of a satin skirt with ghost print Elsa and Anna cameo and snowflakes. Silver charms inlcuding E initial, a snowflake and a Disney signature on a turquoise ribbon. 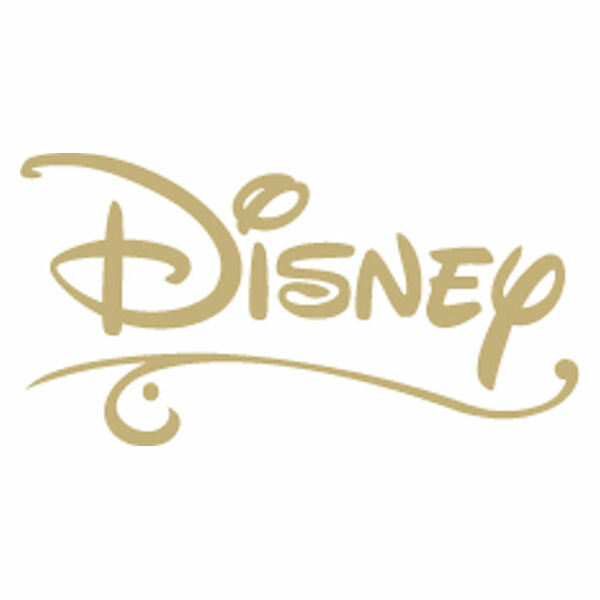 There are no videos for Disney Boutique Collection Elsa by Travis Designs at present.